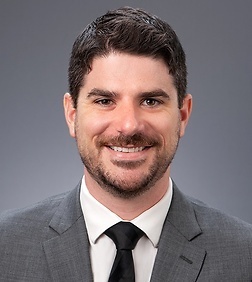 Jeffrey D. Watkins is an associate in the Entertainment and Digital Media Practice Group in the firm's Century City office. Mr. Watkins’ practice focuses on transactional matters, including the development, production, and licensing of motion pictures and scripted and unscripted television projects. He works with studios, independent producers, and distributors (including Amazon Studios, The Walt Disney Company and Hemisphere Media Group). Prior to joining Sheppard Mullin, Mr. Watkins worked as counsel at Viacom Media Networks, where he handled business and legal affairs for live action and animated scripted television projects. Mr. Watkins worked across multiple networks, including MTV, Paramount Network, Spike, TV Land, and CMT. His work focused on rights acquisition, above-the-line talent, writer, producer, and content licensing agreements, as well as all related production matters. Mr. Watkins received his law degree from the University of Southern California Gould School of Law and focused his studies on entertainment. During law school, Mr. Watkins interned at Universal Music Publishing Group, Sheppard Mullin Richter & Hampton LLP, and Miramax Films.